São José dos Campos, Brazil — Things move slowly in the airplane business. Politics, regulation and engineering tend to advance demonstrable changes at a glacial pace. Then, as if a bolt from the blue, things happen all at at once. The last six months have shifted the tectonic structure of the global commercial aircraft industry. Transnational alliances have reformed the landscape. A superduopoly now has distinctive shape. Airbus’s union with Bombardier’s C Series is pending final sign-offs and a Boeing tie up with Embraer looks to be nearing a final phase of discussions. 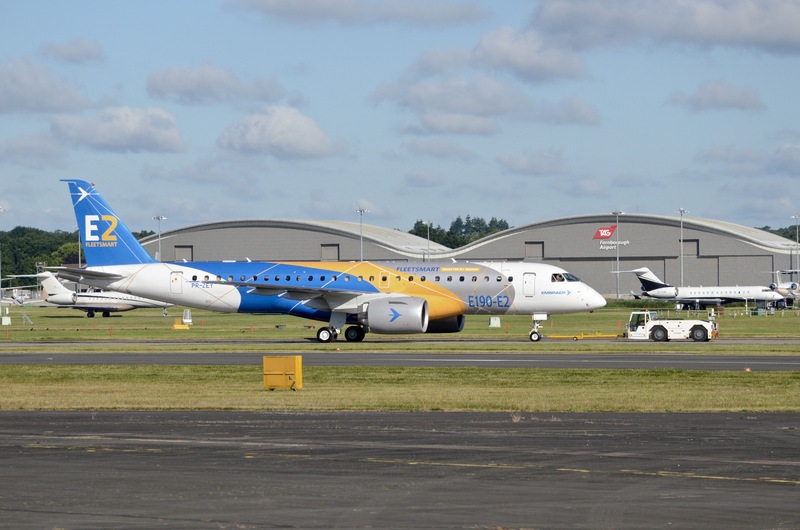 Conversations with the Brazilian government are “progressing positively,” (despite labor opposition) according to Embraer’s CEO Paulo Cesar de Souza e Silva on Wednesday. While news of Bombardier’s union with Airbus came with the companies’ official announcement, the Wall Street Journal revealing talk between Embraer and Boeing thrust the not-yet-ready-for-primetime talks into the political and industrial spotlight. It had been a long dance to that point. The relationship between the two companies (and its leaders) dates back to work done by Embraer for McDonnell Douglas on the MD-11. The courtship that followed after the McDonnell Douglas merger with Boeing was documented by The Seattle Times’ Dominic Gates. With the first E2 now a certified and delivered reality, in the near term, Boeing gets to cover its flank against a Bombardier with the wind of an Airbus tornado at its back. But the nascent North-South alliance is far more than just a single lineup of commercial aircraft from 70 to 407 seats. But a trip deep inside Embraer’s commercial aircraft operations in Sao Jose dos Campos reveals why, in part, the pair is seeking the union. Embraer has solved an industrial enigma: How to build significantly different airplanes – all models of the E1 and E2 – on the same heavily-automated assembly line. Both jets mostly have a common fuselage, but that’s where the similarity ends. Five different sets of wings, four different empennages, four different engines and four sets of landing gear. The changes are starting slowly, but by around 2020 all will be flowing down the same “hybrid” line. The company has increased automation on the E-Jet program from 30% to 80%. Its final assembly mechanics once numbered 600 per shift. That’s now down to 100. With the future of U.S. scope clauses uncertain, the industrial plan is one that safegaurds Embraer’s finacial survival. They have to build both until the E175-E2 can fly in the U.S. But such expertise may unlock the future for Boeing as it considers an NMA and its follow-on FSA – the Future Small Airplane – as a replacement for the 737. As all of the moves of 2017 and 2018 are firmed up, the new shape of the industry is as much about fighting between the transnational supergiants as they are about the next 50 years of competition. 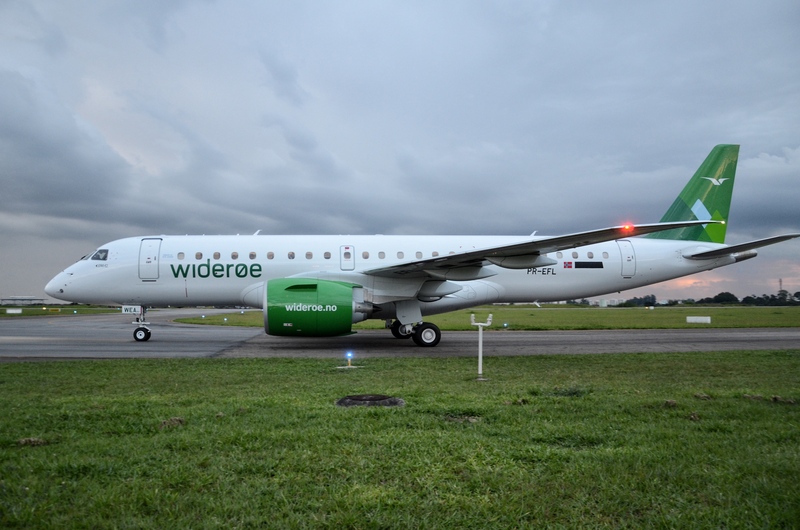 But today in April 2018, for Embraer, it appears that the ceremonial handover of the E190-E2 to Norway’s Widerøe Airlines, may very well be the final first delivery it will make as an independent plane maker. Editor’s disclosure:I was a guest of Embraer in Brazil for the delivery of the E190-E2. The content above is exclusively the product of my own reporting and was not reviewed by anyone in advance of publication.